Ben seems happy with what’s going on! Cars competing at the salt do not need big brakes or expensive suspensions so I was able to build a salt-lake Bug with a fast motor (the one in my hill-climb Beetle) and a daggy old $500 body already cluttering my yard. 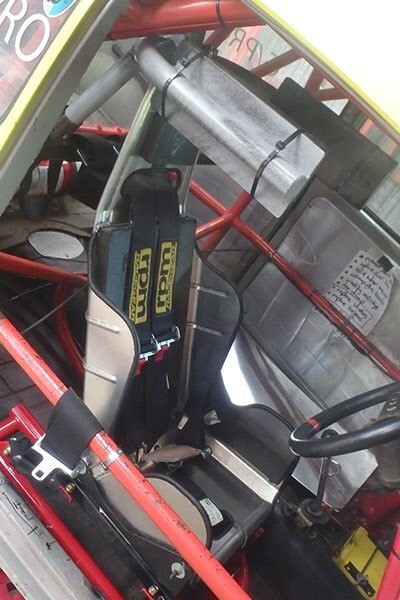 The only significant extra expenses were an on-board fire extinguisher system and an integrated safety cage. Voila! 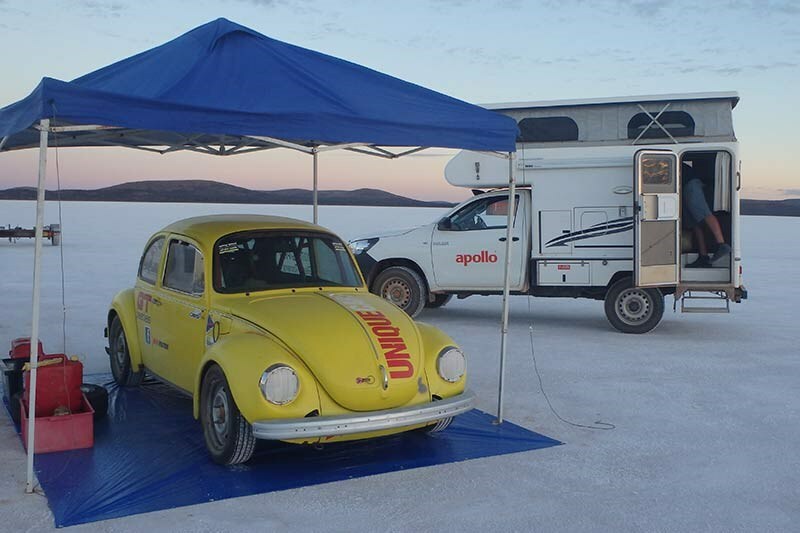 A salt lake racer! 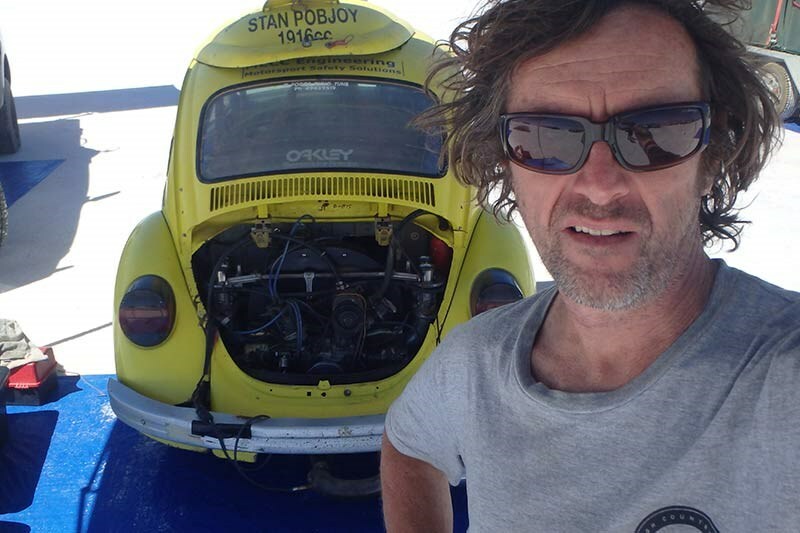 I first participated in 2013, managing a 124-point-something miles an hour (this motorsport discipline is measured in MPH). 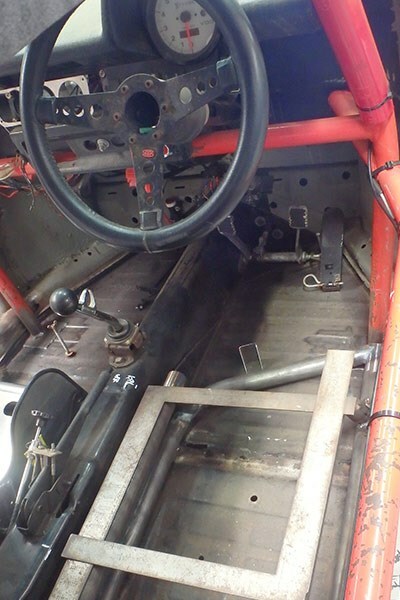 But for 2018, there was mandated revised safety, requiring me to install my driving seat to the car’s cage, rather than the car’s floor. That meant adding to my safety cage. As with the construction of my original safety cage, this was beyond my home-honed skills so I had to seek professional help. 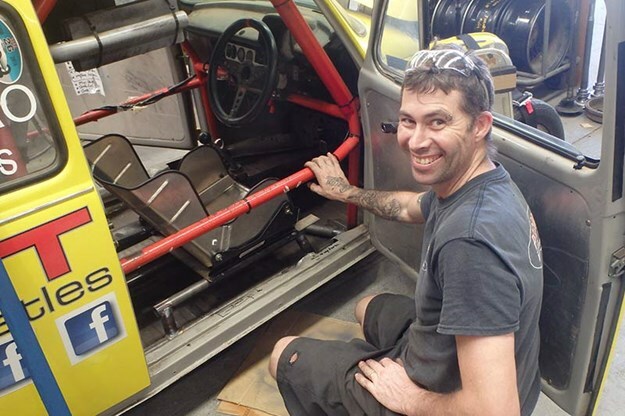 My cage was originally constructed by MECC Engineering in Yass NSW – but MECC’s Evan is living in the NT for a couple of years so this time couldn’t do the work. Instead, I had a local motorsport specialist, Promac Machine Shop in Cardiff NSW, splice-in the extra monkey-bars. 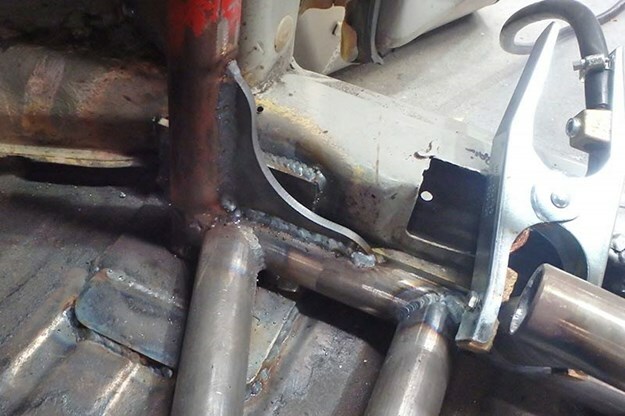 After discussion, Promac’s Ben began with a tube between the A and B pillar bases, along the VW’s inner sill, to support the outer edge of the seat. 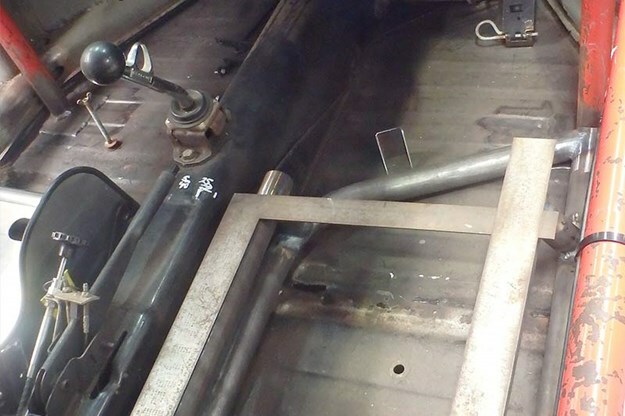 Then, a similar inboard bar was installed to support the inner edge of the driver’s seat. 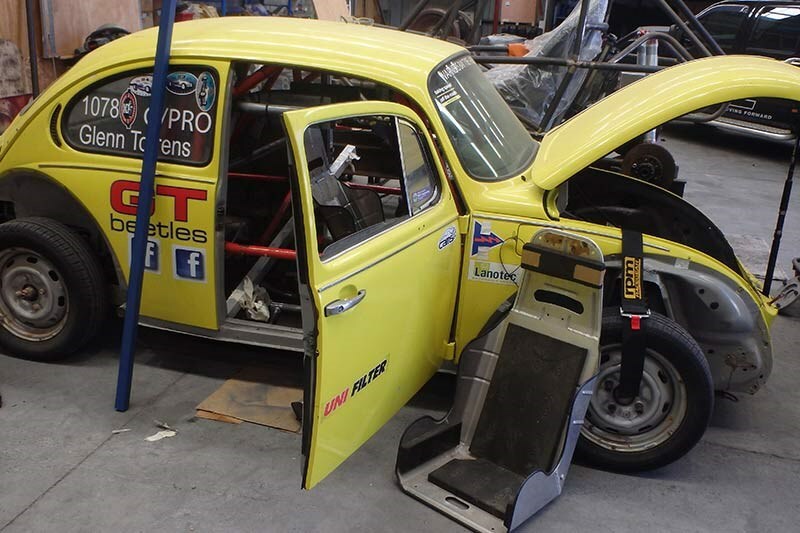 Anticipating my Bug’s possible future use as a rally/tarmac car we replicated this seat foundation for a co-driver, too. 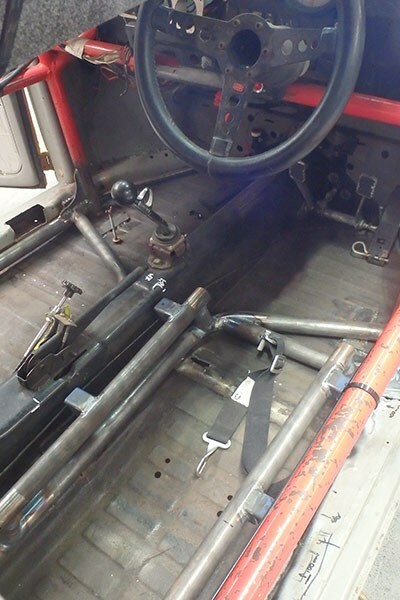 Seat risers were added to the driver’s side to place the seat at the correct height and three safety harness mounts were installed to the tube-work, too. 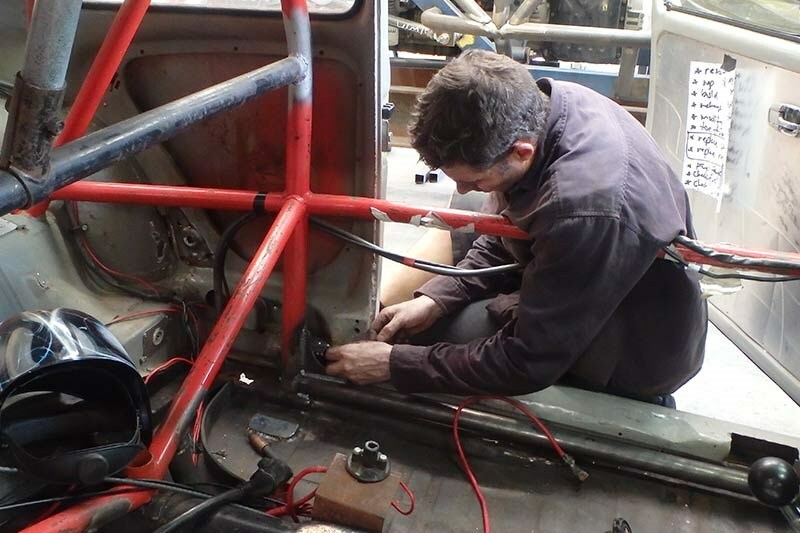 The last task following Ben’s efforts was for me to prime and paint the new cage components and install the seat and harness. The safe and sturdy cage now completely encircles me.